It is not easy to resolve every problem that appears on your daredevil mountain bike ride. Most of the time is just nature and ‘stuff’ never stops happening! While on a trail, much can happen to you owing to poorly maintained bike. The same is why these hacks will help your riding forever! 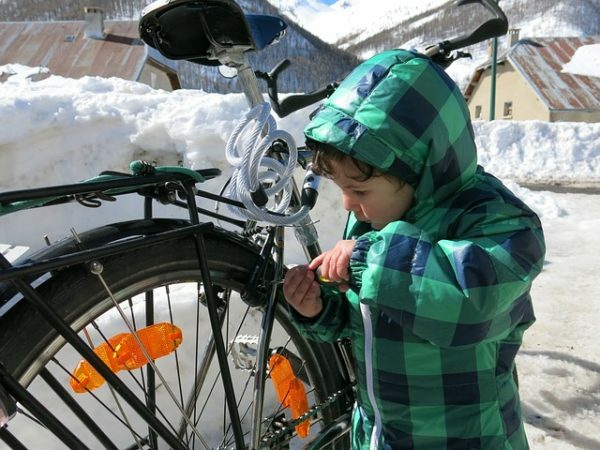 So take a look at the following tips to do your trailside repairs efficiently and like a pro. You can even use a foliage for a handlebar in desperate conditions, with these smart ways. With a realistic cure for every biking ailment that you suffer, these tips should be carried out with attention and alert. 1. How Well Do You Pump? Suppose your tire is off and you even repaired it with a brand new tube. Now, you’re exhausted by pumping the same to ride to safety, but nothing is actually happening. The truth, there are no patches that can re-align this mistake. In short, get a new tube or start walking! If you pump inadequately, that is, by keeping the wheel on your thighs and pump for hours! This puts undue stress on the valves and can be an utter failure. If you keep a block of wood or stone under the pumping area o your bike tear, you make a strong base that provides a thrust against gravity. The ideal way is to extend the cords of your pump, loosen the tension on the valve system and pump easily. 2. Have You Booted Your Sidewalls? A puncture is serious I the cut is more than quarter an inch. This requires a new tube or boot. Provided you fix the tube sans covering your damaged sidewalls. Sooner than later, the tube will bulge out like a hump and bang open when in the wild! The best you can do is use the wrapper to give your tires a boot! 3. Are You a Biker Geek With Perfect Biking Paraphernalia? Regardless of how easy anyone thinks maintaining a bike is, nothing can beat the outburst of a broken chain while uphill your favorite peak. Nevertheless, this happens only when you shift wrong and a flat tire is the foremost of things that any biker can do if he or she has the right tools at hand. Multi-tools are multi-faceted and can indeed fix many things and commotion on your bike, at once. Furthermore, if you purchase multi-tools that comes adjacent with chain tools, it will be highly beneficial. Another geeky biking gadget to carry on you is master-link! 4. Need a Cleat Bolt? It is not unusual to lose a cleat bolt or two at the end of an extremely adventurous trail hike. However, by the end of the ride, missing cleat bolts can make the pedaling slippery. Rest assured and use the ‘back up bolts’. Use the rotor bolt to displace the same. In fact, rotor bolts are for bikers with high adrenaline and also they are difficult to fit within the slot of the cleat. The best way is to salvage a rotor bolt from the front wheel and clip it without charring the interference. If you’re Mountain Biking Pro, you must’ve packed the derailleur hanger. If you have misplaced or displaced it as well as the one on the rear, the best alternative is to pedal elementary, all the way home! If not, the repair is uber-safe as well a plain sail if you’re a hardtail rider. To brief it, the best way to do it demands extended steps for efficiency of work, which is an under a full suspension. Eliminate the remnants in the rear derailleur by unscrewing the bolts. In addition, take the derailleur and circle it on the seat stay to keep it de-tangled. The next step is to remove the pin with your multipurpose chain tool or open the quick link. Then, you must try to match a gear combo that is simultaneously rectilinear with the chain line. To do this, you can utilize the mid-chainring on the lone chain ring on the 1x drive train. Record the combo and splice the chains accordingly. Regardless of your suspension, most designs are made with a negligible aft axle rates owing to the fact that wheel is that which moves throughout active transport. In fact, besides the tension in the bike’s chain when repairing, it can also drastically loosen or tighten post the compression of the suspension in the rear. You must lock the suspension to resolve the aforementioned. Another exclusive way to do it is with a shock pump. All that you need to do is inflate the suspension in the rear until it won’t compress anymore while in an open mode. You must take care to maintaining the shock and air pressure simultaneously according to the labeling. This is because higher air pressure means that the locks will shrink the suspension, which can damage the chain tension furthermore! It is not easy for a mountain biker to avoid the problems of mountain biking, which varies with every trip. In fact, the aforementioned tips are the best advice from veterans on what to do when in trouble with your wheels. Make sure to carry your necessary tools and drive your bike appropriately to maintain your bike without problems.